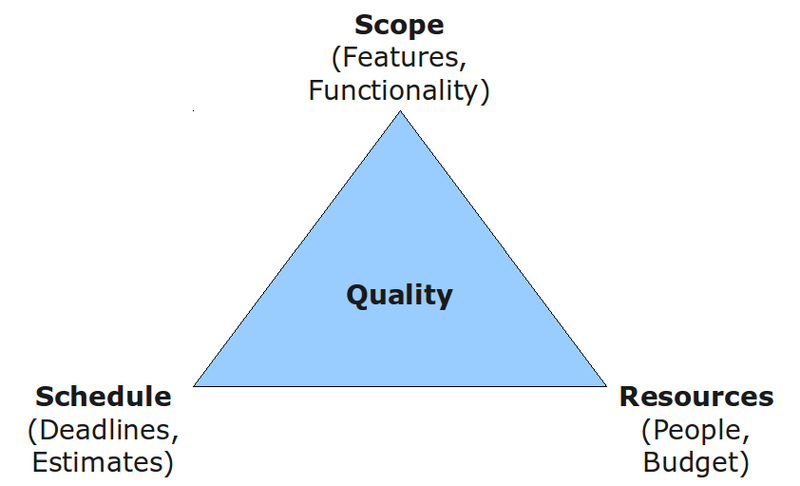 The Iron Triangle (also called Project Management Triangle) is a well-documented business management model, which can be applied to a variety of fields. To summarize the model, each corner of the triangle represents an attribute or factor relating to the successful completion of a project. While they are interconnected, the attributes are also in opposition to each other, meaning that one may increase but at the cost of the others. 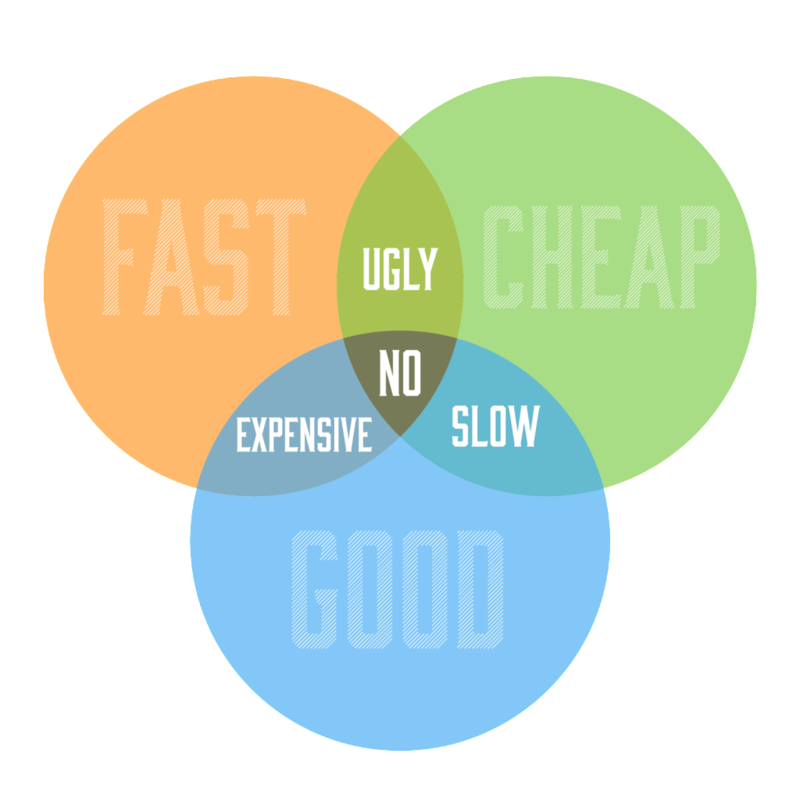 Here is an adaptation of the Iron Triangle, applied to design projects with accompanying results. This is the reality of every design project. At the outset, there must be an understanding and appreciation for the give-and-take that goes into each project. The client may need to readjust their expectations and think about their priorities for the project. Do you want it FAST, CHEAP, or GOOD? You cannot have all three, so you need to decide what is most important and valuable to you? If you say you want all three, the answer will be NO. It is not possible. Unless, of course, you are running a high-quality, professional, pro-bono design charity that regularly pulls all-nighters. For any design BUSINESS, however, expecting “fast, cheap, AND good” is unrealistic, devalues the work of the designer, and impacts their ability to serve other clients. The three properties of a project are INTERRELATED, and it is not possible to optimize all three – one will always suffer. very cool website and blog.. good job introducing the trade space for design (and most other undertakings as well).. Einstein said that "Imagination is more important than knowledge".. and it's more rare..you have the knowledge, but more than that you have an amazing imagination and vision.